For the first time, more people in the U.S. choose cremation over burial during their end-of-life preparations, according to The National Funeral Directors Association’s 2016 Cremation and Burial Report: Research, Statistics and Projections. The report used data from 2015 and found that the burial rate in the U.S. fell to 45.4 percent while the cremation rate increased to 48.5 percent. The results varied greatly state by state, with some regions favoring burial and others preferring cremation. On balance, though, the nation in 2015 leaned toward cremation as its preferred end-of-life option. It is also unlikely that this new development is a random flash in the pan. In 2005, the NFDA report indicated 61.4 percent of the U.S. chose burial compared to 32.3 percent who opted for cremation. Then, in 2010, the burial rate dropped to 53.3 percent while the cremation rate rose to 40.4 percent. Moreover, the Cremation Associate of North America pegged cremation rates in the U.S. at 24.8 percent in 1999, but 46.7 percent in 2014. Those number are in line with the NFDA report and provide further evidence that cremation rates have been on the rise for some time. Going forward, that trend is expected to continue. The NFDA forecasts cremation rates of 56.0 percent in 2020 and 71.1 percent in 2030 as burial dips to 38.0 percent in 2020 and 23.2 percent in 2030. It remains to be seen if those expectations hold true, but if nothing else, the data from 2005 to 2015 shows a significant rise in the popularity of cremation and the inverse for burial. Meanwhile, in Canada, cremation is even more popular. The report included statistics about our northern neighbors and found the cremation rate in Canada to be 65.5 percent compared to 33.2 percent for burial. By 2035, the cremation rate should approach 90 percent. Cremation is rising in popularity across the U.S.
It’s worth noting that the preference for cremation vs burial is far from even across the U.S. In the latest report, cremation in Montana, Washington, Oregon, Hawaii, and Nevada ranked 50 or more percentage points higher than burial. 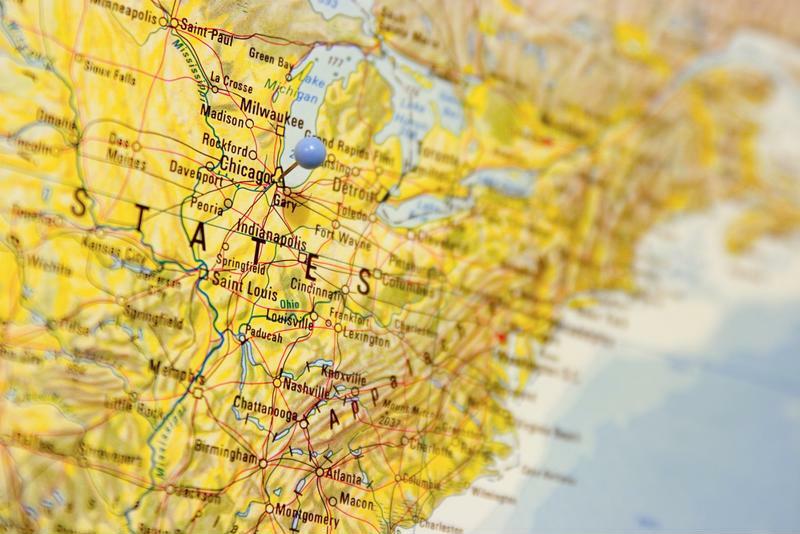 A number of states including Vermont, New Hampshire, Maine, Wyoming, Colorado, and Arizona were anywhere from 40 to 50 percentage points more in favor of cremation than burial. On the other hand, in Mississippi, burial ranked over 50 percentage points more popular than cremation. Nearby states like Louisiana and Alabama placed cremation 40 to 50 points lower than cremation. By and large, the rest of the U.S. was less polarized, but tended toward cremation. With that said, the differences between the states are not necessarily due to any single factor. There could be cultural differences inherent to these regions or certain cremation regulations may push people in one direction or the other. The NFDA report doesn’t provide hard evidence regarding the reasons why cremation has been steadily increasing in popularity, though it does offer few suggestions, like cost, environmental impact, and religious alignment. The Huffington Post can offer more context. For starters, cremation isn’t just less expensive than burial – it’s actually a fraction of the amount, even including the funeral costs. Additionally, the source suggested religious outlook has evolved since the late 1950s, when the cremation rate was below 4 percent. Overall, what’s right for you and your loved ones will vary and certainly doesn’t have to reflect national averages or statewide preferences. The most important thing is to do your research, consider how you want to be remembered, and speak with friends and family about your options when planning for end of life. If anything, the latest results from the NFDA report indicate that there is no stigma against cremation or burial, and every family can pursue the option that makes the most sense for them. Published August 31st, 2016 | Category: About Cremation.